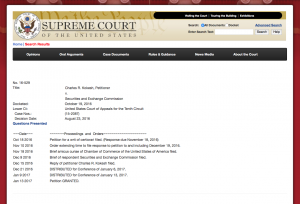 On January 13, 2017 the U.S. Supreme Court granted a petition for certiorari in Kokesh v. SEC, an appeal from a Tenth Circuit case that rejected the Eleventh Circuit’s conclusion in SEC v. Graham that disgorgement orders are forfeitures subject to the five-year statute of limitations. 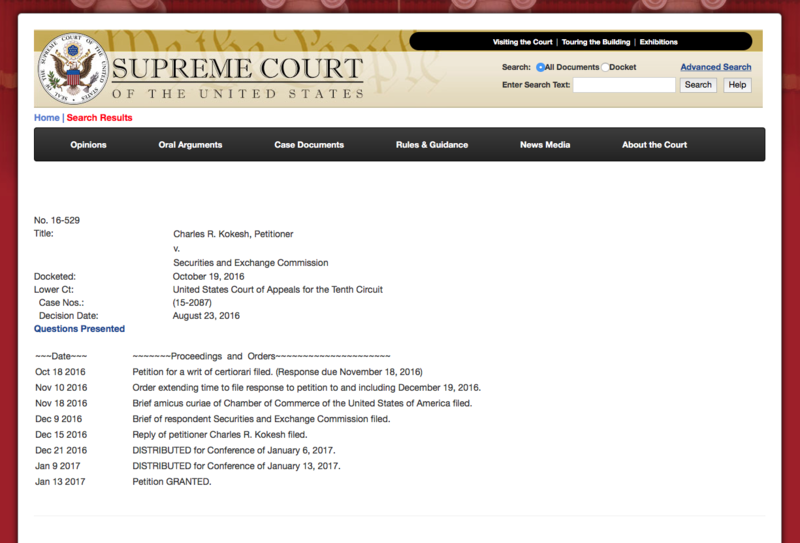 The U.S. Supreme Court will decide whether the SEC’s view that it can reach back to any time period and compel alleged wrongdoers to divest assets not necessarily traceable to any assets actually received by a defendant is the law of the land or whether alleged misconduct occurring more than five years before the filing of a complaint will be unactionable. Any decision on this issue will affect the SEC, CFTC, FTC, and other federal agencies with similar civil powers.